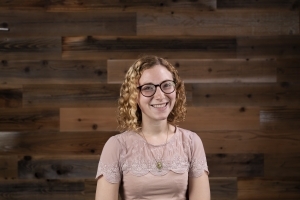 Emmy Corman is the Package Design Engineer at Dollar Shave Club, a Unilever subsidiary. In this role she oversees the technical and aesthetic packaging across the brand from primary through tertiary packaging. Prior to this role she worked at Hasbro, focusing on their licensed brands with Disney and Dreamworks. She was fortunate to have three internships while pursuing her Packaging Sciences degree at Michigan State University. She interned at Coty Inc., 3M, and Amazon, allowing her the ability to work throughout the country and at companies with diverse cultures, products, and ways of working. At Dollar Shave Club Emmy oversees packaging across a wide variety of their direct to consumer products, including shampoo, cologne, toothpaste, and hard goods.